Using recruitment software that includes applicant tracking software (ATS) offers significant benefits to any business’s HR department or hiring manager. Offering tracking for every aspect of recruitment, interviewing and hiring processes, a recruiting software can create records for companies and hiring managers to use when hiring new employees. Using the software is as easy as clicking a mouse button and researching tons of information, right at the tip of your fingers. Saving Time – Interviewing and hiring must be done by every business that plans to have employees. Fortunately, there’s a way to save time when recruiting and hiring employees. The traditional way of interviewing and hiring can be time consuming and difficult to keep up with. Whether you’re using a spreadsheet or paperwork, you’ll find yourself overwhelmed during the process. Recruiting software can help keep you from being overwhelmed. Some of the more difficult and laborious tasks are reduced to a minimum and users can access a database to file and cross-file candidates. Eliminating the need for manual data entry, recruiting software helps save tons of time. Productivity Improvements – Having comprehensive, updated information, right at your fingertips helps improve productivity in more ways than you’d ever think. Instead of record keeping, hiring managers are able to use the recruitment software for this task instead. All the information you need is instant and easy to access when using a recruitment software and can be used to obtain accurate information in a timely manner that offers better performance for recruiters. Good communication is needed for successful recruiting purposes and using a recruiting software package helps to make that possible. Record keeping and hiring are made easier and more efficient with the help of recruiting software also and combining your system with iReformat is a win-win for everyone. 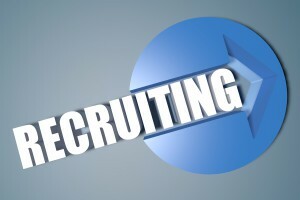 The benefits of using free recruiting software can be numerous. You’ll find all sorts of time and cost savings. If you’re interested in learning more about recruiting software, and how it can help your efforts, contact Recruiteze, today!